This was in part because the Saudi government implemented some crowd control recommendations from Dirk Helbing and Anders Johansson at the Dresden University Institute of Technology. Helbing and Anders looked at surveillance imagery from the 2006 trampling incident as if every person was a particle in fluid-dynamical flow. The stampedes, they reasoned, happen when laminar flow (smooth flow) transitions to stop-and-go and turbulent flow. As the crowd got heavier, it slowed down on the Jamarat Bridge-stop and go. But then as even more people walked on, the crowd clumped into turbulent nodes that spread shock waves forward and back. Nobody had ever seen turbulence develop in human crowds before (obviously it's tough to test this kind of thing in human beings). fall is impossible. Removal of those in distress can only be accomplished by lifting them up and passing them overhead to the exterior of the crowd." Helbing's group found that if the number of people passing a given spot in a given amount of time falls too low, the transition to turbulence was about a half hour away. They suggested to the Saudis-who followed up-that they change the shape of the Jamarat Bridge and its approaches, institute automated counting to head off the turbulence transition, and make a few alterations in the schedule of the Hajj. "Could I feel comfortable if people had died and I'd declined to help?" Helbing told Nature's Philip Ball. "It was a matter of responsibility." That's science in the public interest, folks. 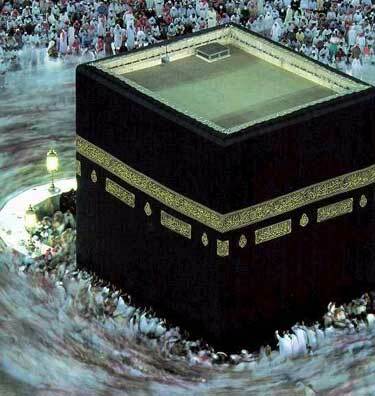 ooooo...I was really very scared when my parents were going to Hajj, the recent one. But Alhamdolillah, they told us, they didn't see or hear anyone dying in the Jamrat.